Home » Belize Travel Blog » My Fave Posts » Before I Turn 40: My Central American "Bucket List"
Take a look at a map of Central America – the area seems relatively small. But travelling around quickly, cheaply and easily is almost impossible. If you want to fly to other Central American countries from Belize, you really only have two options. You can fly to Flores or Guatemala City, Guatemala (neither very far away) or you can fly to San Salvador, El Salvador on TACA. Neither option is cheap. Look at the price for next week: if you want to fly round-trip from Belize City to San Salvador, it is going to cost $607USD. For a flight that lasts 1 hour, that seems a bit much. I could go to New York for the same amount.The bus system is not at all what I’d call ideal either. I once looked into a bus ride down to Costa Rica to meet a friend. I mean…look at the map…how long could it really take? THREE DAYS! I’ll start with the Yucatan, Mexico. Though not technically Central America, it is our closest neighbor. In fact, Ambergris Caye was part of the Yucatan until the Maya dug a canal disconnecting us. And it is definitely the area with the best public transportation. By far. 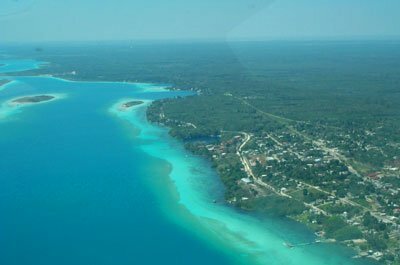 Laguna Bacalar, Mexico: 35 miles long, this is the second largest freshwater lake in Mexico. Crystal clear FRESH water sounds incredibly appealing and I’ve heard this “lake of seven colors” is supposed to be stunning. The whole area is riddled with cenotes. And, best of all, it’s only 15 miles from Chetumal! San Cristobal de las Casas, Mexico: Okay, I stray a bit. This small colonial is an 11 hour bus ride from Chetumal in the state of Chiapas, Mexico. But it looks and sounds absolutely beautiful. Cobble stone streets and Mayan markets, cathedrals and festivals, live music, great food, cheap accommodations. Culture! I can’t wait to go and I feel like this one is on my “short list”. 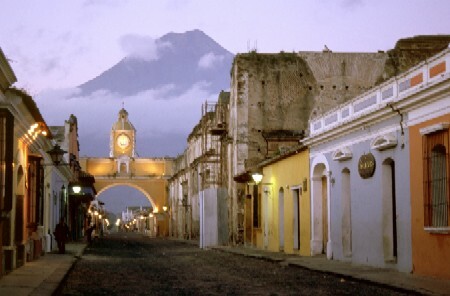 Antigua, Guatemala: Just 30 miles outside of gritty and dangerous Guatemala City, Antigua is another very old colonial Spanish city. 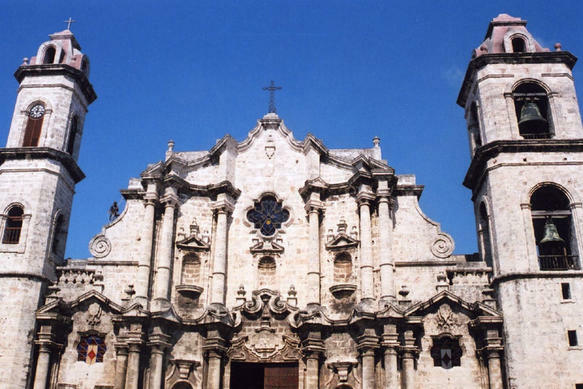 Lots of churches, old ruins, beautiful colonial houses, funky bars and restaurants…I’ve always wanted to go. It is supposedly very clean and tourist friendly. It’s also supposed to be a great and CHEAP place to take a Spanish immersion course. Intensive courses are $100 to $200 a week. Perfecto! The worst part? It seems like every gringo in Belize has been but me. It’s my turn. Lake Atitlan, Guatemala: In the highlands outside of Antigua sits Lake Atitlan. A deep blue lake (the deepest in Central America) surrounded by volcanoes and Mayan villages, Lonely Planet calls this the most dramatic region in Guatemala. Looks pretty good to me. 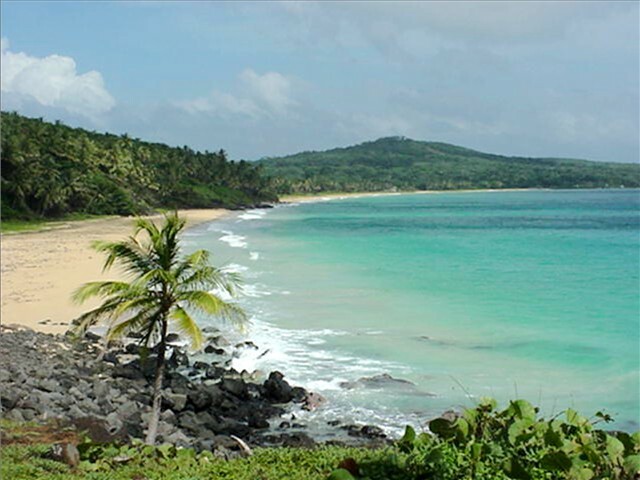 Little Corn Island, Nicaragua: Though I’ve never met anyone who has been there, I picture Little Corn island to be the ideal “deserted” Caribbean island. It is only one mile long and surrounded by a small barrier reef perfect for snorkeling and swimming. Could I live on a tiny island with perfect white beaches and only 1,000 people? Probably not. But I’d love to visit. Plus, you can always head over to the “big city”. Big Corn is only about 8 miles away and has a population of over 6,000. 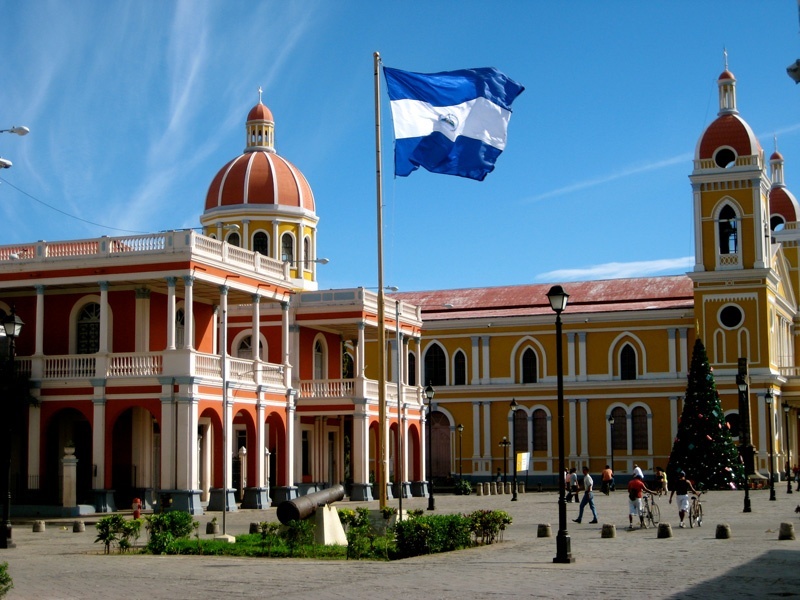 Lake Nicaragua, Granada, Isla de Ometepe and all the islands: Granada was founded in 1524 and said to be the most beautiful, most colorful and least touristy of the great colonial cities in Central America. It also happens to sit on huge Lake Nicaragua (the largest in Central America) surrounded by scenic volcanoes. That doesn’t hurt. Ometepe Island, in the lake, is the largest fresh water island in the world (and contains two volcanos) but it is becoming quite popular. There are many more to visit on this giant lake and I wanna see them all. The lake itself is pretty interesting. Once part of the Pacific Ocean (a long long time ago), it is home to strange lake life like freshwater bull sharks, tarpon and sawfish. Learning to surf in Costa Rica or Nicargua: There are quite a few camps and little hippy towns on the Pacific Coast. I’ve been to Montezuma, Costa Rica before and loved it. Just google…there is a surf camp for everyone. Women only, yoga/detox surfing, camps for kids, classes for the out of shape. And all relatively cheap. Especially in Nicaragua. Can’t you totally picture me “hanging ten”? (Insert my head, a much large bikini bottom and 30lbs in the picture below). 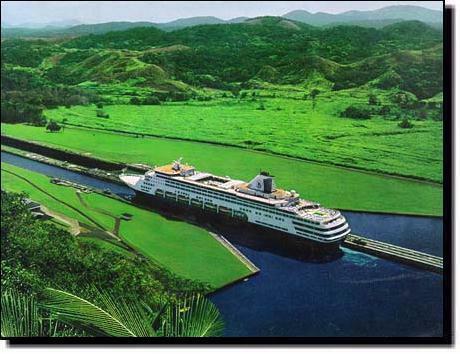 The Panama Canal, Panama: The canal is totally fascinating to me. Did you know the average fare is $54,000 usd but large cruise ships can go up to $340,000? Did you know it was started by the French in the 1880s after they built the Suez Canal but abandoned when they lost 10s of thousands to malaria? Did you know Teddy Roosevelt leased the land from Colombia (in perpetuity) to create independent Panama? I can’t get enough of it. I’ve got to see it. The only problem is that I am sure I wouldn’t like being on a cruise ship. I guess this is where my “sugar baby” status will come in handy. I will definitely need a private yacht. While travelling to all of these places, I will be brushing up on my Central America recent history. (And I could use a serious brush-up). The civil war in Guatemala from 1960-1996, the Nicaraguan war of the 1980s between the Sandinista and the Contras (remember Oliver North? ), the bloody civil war in El Salvador that ended only about 20 years ago, the US invasion of Panama to depose Noriega (who was in prison in Miami until 2007 and is now incarcerated in France). Damn. So much to know. So that’s it…(I left out Costa Rica, Merida and Tikal since I have already visited.) But this makes me realize that I’ve got some serious travelling to do. In fact, this post has left me slightly depressed…all so close and yet so far away. Donations and/or suggestions, of course, are always welcome. Don’t think I can help on the funding side. . . but I’d love to be a travel buddy for part of it!!! The Panama Canal was truly amazing! We went last Christmas and had a great time. Easy to fly on TACA from Belize City. Yes…that’s how I went…but you need to stop in El Salv. Easy but a bit too expensive for my taste!